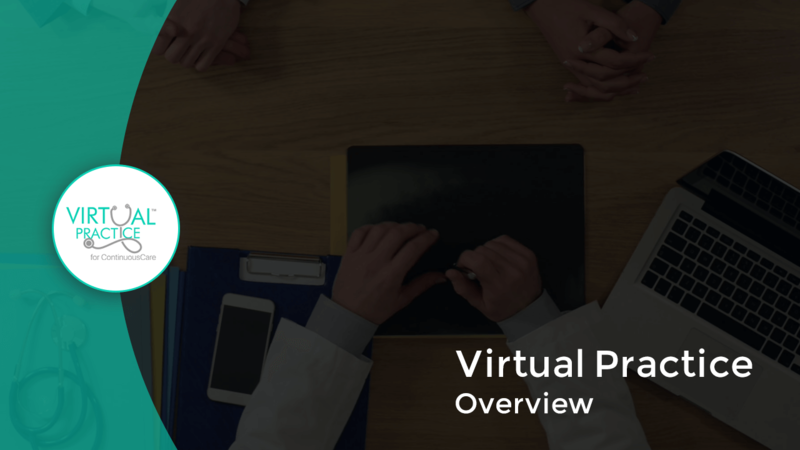 The Virtual Practice is an online application, exclusively designed for doctors and healthcare providers, operating as a clinic or hospital organization or as a solo doctor, for easy management of their patients and practice. The Virtual Practice is available both as a web and a mobile app. You can download the Virtual Practice mobile app from Google Play or App Store. Your patients can register in your Virtual Practice and also access the features and online services that you set up in the Virtual Practice from the patient portal website. The URL of your patient portal can be created while you register for the Virtual Practice. If required, you can also map a domain name of your choice, with the patient portal. Patients can view your brand logo, banner and details of your practice location and staff user team from the patient portal, and also access the online services like Video Consultation, Clinic Appointments, Text Consultations and Remote Monitoring from here. Patients can also access your Virtual Practice features from their mobile, by downloading the ContinuousCare app from Google Play or App Store. You also get a Virtual Practice Manager interface, from where you can log in and set up the features and online services you wish to provide to patients. Online services like Video Consultations, Remote Monitoring, Clinic Appointments, Patient Questions, etc. can be set up in the Virtual Practice and be made available to patients, via the patient portal. Get a unique mobile app for your patients, with your own brand name and logo. You can customize the app’s theme based on your choice, so that the app looks like a natural extension of your business. The theme of the mobile app can be customized from over 1500 available colors, which patients can easily search for and download from Google Play or App Store, from an account which will be completely managed by you. When you sign for a Virtual Practice account, you will initially be on a 14-day free trial, during which you can access all the available features, set up online healthcare services mentioned below, and add staff users to your Virtual Practice. You can view your current status of your Virtual Practice or subscription details in the settings page. After the trial period expires, you will be required to subscribe to a Virtual Plan to continue using the features of the Virtual Practice and make the services available to patients without any interruptions. You can know more about the Virtual Practice plan, by visiting our Pricing page. Patients who have registered in your Virtual Practice via the patient portal or those who have been added by you or your team, can be viewed from the Patients section of the Virtual Practice. All past and upcoming clinic appointments with your patients can be viewed by selecting the ‘Clinic’ tab from the Appointments section. You can also switch between the list and calendar view according to your preference to view the appointment schedules. Video Consultations, or commonly known as Telemedicine Service, can be used to resolve key consultation problems, like ease of accessibility, flexible consultation timings, quicker and better health outcomes and increased revenues. You can view all the past and upcoming video appointments with your patients can be viewed by selecting the ‘Video’ tab from the Appointments section. Here too, you can switch between the list and calendar view according to your preference to view the video appointment schedules. Healthcare providers can create various remote monitoring plans in the Virtual Practice and assign patients to these plans, based on their treatment requirements. The available 50+ health trackers can be defined in each plan, which patients will have to keep track of and update accordingly. The updated health tracker readings will be monitored by a team of healthcare providers and appropriate feedback based on the trackers that are updated can be provided in form of review notes. You can set reminders for each tracker, within a monitoring plan, so that patients can easy comply with the health tracker entry reporting requirement of the plan, ensuring better health outcome. Text Consultations are carried out through health-related questions asked by patients from the patient portal, and healthcare providers replying to these questions, via the Virtual Practice Manager. You can generate bills for the healthcare services that are used by your patients in the Virtual Practice. The type of service that was billed for, the status of the payment made and total amount received from patients are displayed here. Patients can view the health blog posts or informative health tips that are added by you or your team, from the patient portal or from ContinuousCare mobile app. You can add a new health blog by clicking on ‘Add New Post’ button adding the details that are required to post the blog, like the title of the post and content, in a text format completely of your choice. You can also choose to embed images or videos from an external website like YouTube and have displayed within the blog post. All the settings related to the functioning of your online services and setting up of your patient portal website can be accessed from here. You can define the settings of your Video Consultation, Clinic Appointments and Patient Questions services, manage your staff user team, patient database and their registrations, notification contact details, billable services, etc. Configure your Virtual Practice payment settings, so that you can receive online payments made by patients for using your services. For any help related to configuring your Virtual Practice features and services, and setting up your patient portal website, send us an email to support@continuouscare.io.